Used-Buy Day – Washington D.C.
Do you have Leica camera and sport optic equipment that you are not utilizing? Do you wish to trade your older Leica gear for new Leica gear? 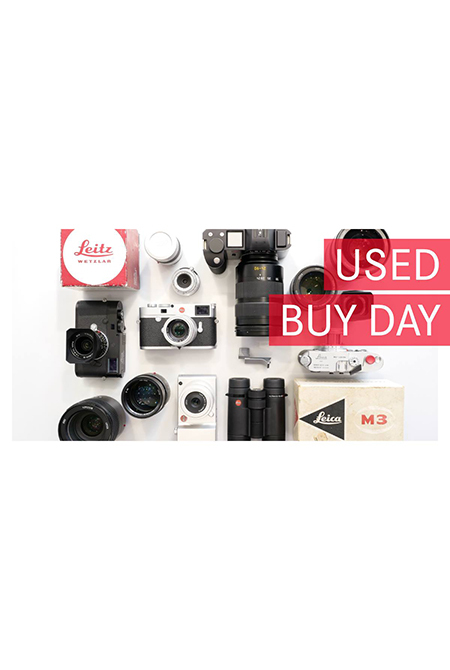 If so, please join us on Sunday April 28th from 12PM to 4PM for our first Used Leica Buying Day. We will have multiple appraisers on site to give you a quote or top dollar for your used Leica equipment. Please bring any original packaging and accessories, as well as a valid Photo ID. Gallery Opening: Based On A True Story – A Workshop with Gus Powell – Washington D.C.
Join us for the opening reception of "Based on a True Story" by Gus Powell on Thursday, May 16th from 7-9 pm. No RSVP necessary. Akademie Workshop: Based On A True Story – A Workshop with Gus Powell – Washington D.C.